Hello friends! Today John and I (Chelsy) are here on the family blog to share with y'all a *very* abbreviated version of our love story! It is really hard to know how to condense this down into one post, because our story has a lot of twists + turns + all sorts of details that we are skipping today, due to time. This is what we'll call the "simplified" version, and I’ll be sharing the more in-depth story in a series over on my personal blog, in the future. Chelsy: I first met John in April of 2016 when he + some of his siblings attended my family’s concert at a nearby town to where they lived in Kansas. I made a point to make sure I met each of them, but only because they had invited us to their house previously (it hadn’t worked out) and I wanted to be friendly. I was familiar with who they were mostly just from their family name; we had a couple mutual friends, my little sisters loved the book series that John's sister had written, and my mom had used John's mom's scheduling series when I was very young. As far as noticing John that night, though, I definitely didn't. I had just ended a relationship with another guy and couldn’t have been less interested in John or anyone! John: My siblings and I loved the concert; watching the interactions between their family reminded us of when we did music together as siblings. It was fun to catch little moments that most people wouldn’t think about, like silent instruction from older to younger siblings or grimaces over mistakes. I ended up mostly talking to Mr Bontrager afterwards since we were discussing some bus repair issues. I actually don’t remember meeting Chelsy at all, although she says we did meet briefly! John: It was definitely a misunderstanding. We thought they were inviting us since the campaign trip hadn’t worked out; they thought we really wanted to come visit. But we came, and had a very short but great visit. Chelsy and I didn’t talk a whole lot; her mom and several siblings were gone that wkend so she was running the house and didn’t hang out a lot with the rest of us. She and I did have one conversation about speeding tickets, in which we discovered a certain mutual heavy foot kindred spirit! But that was it. John: On the drive to their house, I realized that Chelsy and I were the same age and that she could possibly be an option for me. After that weekend, though, it was very strange-I distinctly felt God tell me that I was not supposed to ask her. One of my sisters even asked me, on the way home, if I was interested in her, and I told her that I might've been, except that I felt super clearly that I wasn’t supposed to pursue her. So that was the end of that. Chelsy: The entire summer went by. I didn’t have any contact with John, and honestly didn’t think about him at all. God was doing a deep work in my heart, though, in preparing me to move on and be open to another relationship. It was a really good couple of months and definitely a growing and healing time for me. John: I didn’t think anymore about Chelsy, either, and was very much keeping my eyes open for a girlfriend. I met lots of girls that summer but no one I felt I was supposed to pursue. Chelsy: September came and with it my family’s annual Turning Hearts Celebration. John’s family came and he and I ended up talking in the ice cream line together at 10pm that night. Two hours later….I was pretty intrigued with this guy! I distinctly remember being quite impressed on a few of his very strong opinions that I figured would be quite different from what they were. We agreed on a number of issues that really surprised me, and I was more and more impressed the longer we talked. 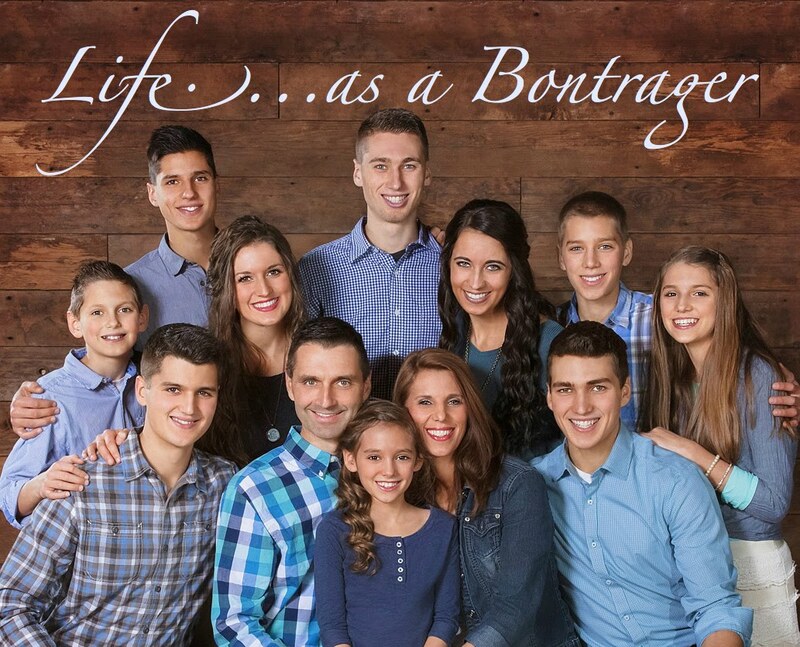 John: My family decided to attend the Bontragers Turning Hearts Celebration that they have every year. I didn’t talk to Chelsy at all (she was super busy) until late that night as we were standing in line for ice cream. Our conversation continued after we got our ice cream until Chelsy asked if I wanted to sit down. She said her legs were tired from running all day. We had a great conversation and I was really impressed with her. I still wasn’t thinking of her as an option, but really did enjoy chatting with her. Chelsy: After Labor Day, I felt the Lord telling me I was supposed to pray about John. I really didn’t want to, but still felt a strong urging that I should. So, I put out a fleece of sorts, and prayed that if he was interested, and if I was supposed to say yes, he would ask on a very specific date. To condense the story greatly…that timing was exactly when John ended up calling and asking. I had so much peace knowing that Jesus was in this! Even though there were a lot of unknowns, I knew we should move ahead. John: About a week after Labor Day, I was my way home from the airport one day when I felt the Lord put Chelsy on my heart. I thought it was very odd because I had already prayed about her and received a clear NO from the Lord, that spring! But I couldn’t shake the feeling that I was supposed to pursue her. I ended up calling her dad and getting the green light from him, and planning a first visit. John: November 9th was the beginning of our relationship! The following week I drove down to Texas with part of their family for the National Bible Bee. I got to take the late night shift and drive the bus from 8pm-midnight. It flew by in a flash because Chelsy sat up front and talked with me the whole time. Such a fun night! Chelsy: The next ten months were full of countless visits, dates, and memories! We had lots of ups and a few downs and learned a lot about life, love, and each other! With many visits back and forth, we were privileged to be able to spend so much time together, and that was such a great foundation for us. We had both waited a long time and we found that it was so worth the wait! John: We were truly blessed with an amazing time getting to know each other. God taught us both a lot during our relationship and it was such a great experience. We tell people that we didn’t fall in love, but rather we “walked” into love. Chelsy: On August 28th, 2017, John picked me up for a date. I had been previously a little suspicious that it was going to be “the night”, but as the day wore on I kind of forgot about my thoughts of a proposal! As the date began though, I started to wonder…=) John had arranged so many perfect little details to make every part of the proposal so special. John: We ended up back on one of her dad’s hay fields, where I had gone previously to set up a swing that I built for her. We walked to the top of the hill together and then sat down on the swing and I shared with her a number of things that were special to me about her. Then I got down on one knee and popped the question. And she said yes! 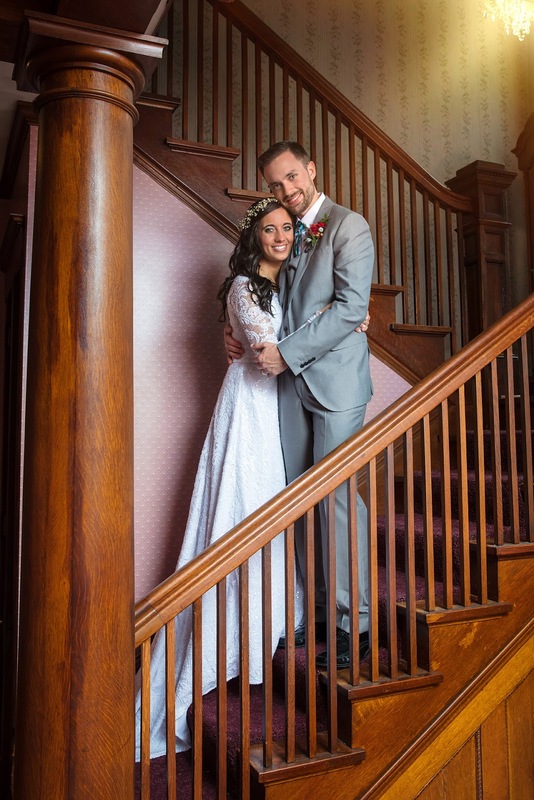 John + Chelsy: We had a four month engagement and were married on December 30th, 2017. (to read all about our wedding, visit here and click on the OUR WEDDING tab on the left hand side) Our engagement was amazing and our wedding was so incredible. It was the day of all days for us! 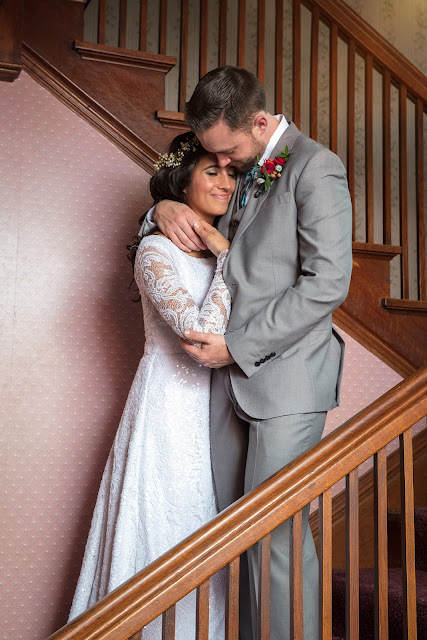 Now, we are seven months into married life and couldn’t love it more! Life is a grand adventure and we count it as such a gift to be privileged to live the rest of ours together! "He hath made everything beautiful in His time." So fun to read! Thanks for sharing! So sweet, love your story and your loving peaceful vibration, Jesus bless! !